I have always loved to write. I began writing BSB fan fiction over a decade ago in order to improve my writing skills. Summary: This is in response to Fracktrain's Valentine's Day Challenge. The Backstreet Boys have reunited, after a several year break. They're interested in returning to the studio, but old resentments die hard. Brian and Nick remain contemptuous towards each other, and their fighting is hindering the group. Unexpectedly, they are forced to put themselves in each other's shoes... literally. Summary: This is in response to the October Challenge on Backstreet Fiction, and I thought I'd post it here, too. The prompt was: "Write a challenge where the guys throw a Halloween party and something goes very wrong." Its just a short story I wrote for fun. Hope you enjoy it. 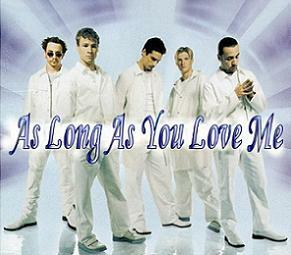 Millennium has just been released, bringing the Backstreet Boys more success than they could have ever dreamed of. 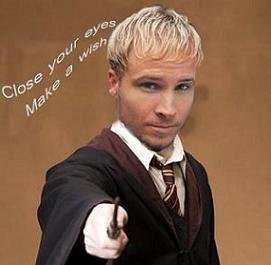 Brian thinks he's found someone who likes him as Brian Littrell instead of Brian 'Backstreet,' but is he being decieved... again? The Backstreet Boys are back in the studio, although the group has become a foursome. They are trying to figure out whether or not they can continue as a group, as well as decide what direction to take musically. Meanwhile, two of the group members are having problems with their love lives. When AJ meets Michelle, he is instantly drawn to her. She, on the other hand, is not impressed with his bad-boy image. As their relationship progresses, a secret from her past threatens to tear them apart. A secret that could cost a life. Brian is having his own issues. In his case, though, a marriage is at stake.